Liverpool take on Leicester in the Premier League on Wednesday night, and Jurgen Klopp is expecting a tough challenge as his side return to action. The Reds last took to the field a week-and-a-half ago, with that dramatic 4-3 win over Crystal Palace followed by a short warm-weather break in Dubai. They were back at Melwood by the end of last week, with the focus remaining on success in the Premier League, as they still hold a four-point lead at the top of the table. And Klopp believes Leicester, who have already secured victories over Chelsea and Man City this season, will be difficult opposition—despite having lost their last three games and four of the last five. 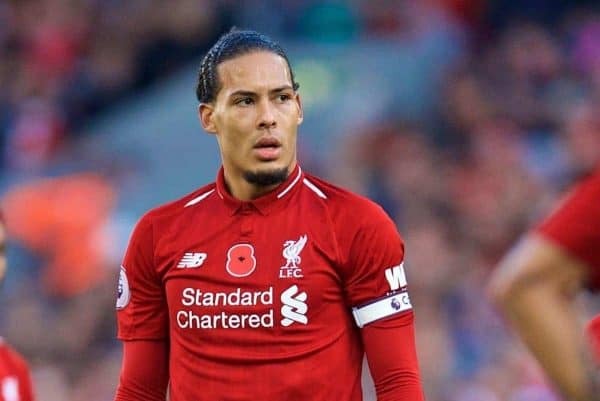 Klopp also gave a positive update on the fitness of Virgil van Dijk, who had been considered a doubt for Wednesday due to illness, along with Dejan Lovren, Fabinho and Gini Wijnaldum. With Joe Gomez and Trent Alexander-Arnold injured and James Milner out through suspension, Klopp has a big decision to make over who starts at right-back. Fabinho and Rafa Camacho are both options, but he would not give anything away when pressed on which was more likely to feature. “You have to wait until tomorrow. We will play with a right-back, or a wing-back, [but] I don’t know [who],” he claimed.